INDIANAPOLIS, IN (July 15, 2016) — Indiana Members Credit Union (IMCU), Central Indiana’s largest credit union, announced today that it has joined the Allpoint Network, granting members access to an additional 55,000 surcharge-free ATMs worldwide. Including the existing Alliance One Network, IMCU now offers over 60,000 surcharge-free ATMs worldwide to members giving better access to their cash in places they’re already visiting. Allpoint ATMs can be found in destination retail outlets including major discount retailers, convenience, grocery and pharmacy stores. 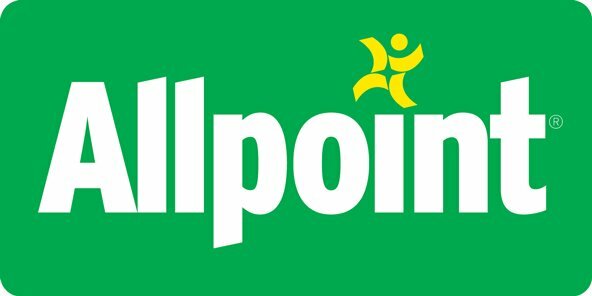 Participating ATMs will have the Allpoint logo displayed prominently on the ATM. Members can search for surcharge-free ATMs within the Allpoint Network by using the Allpoint ATM locator on IMCU’s website under “Locations & Hours”. Ron Collier, IMCU President and CEO stated, “Adding this network will provide better access for members by dramatically increasing our surcharge-free ATMs, and will result in savings for members.” Prior to being included in IMCU’s network, using the Allpoint ATMs would have cost members $5 per use. Now, there is no fee. Indiana Members Credit Union, headquartered in Indianapolis, Indiana, was founded in 1956 on the campus of IUPUI. IMCU has since grown to 27 branches in Central Indiana, offering consumer and business members a better financial alternative and a full array of products and services. Traditionally offering better rates on loans and deposits, IMCU maintains true to its roots by “Keeping It Simple” for members. For more information, please visit IMCU online at www.imcu.com. Allpoint Network is the largest surcharge-free ATM network with more than 55,000 ATMs in leading national and regional merchant locations across the United States, Canada, Mexico, United Kingdom and Australia. Allpoint provides greater access, convenience and savings to customers of financial institutions while providing institutions the tools to compete more effectively for customers. For more information or to find the nearest Allpoint surcharge-free ATM, please visit www.AllpointNetwork.com, like us on Facebook and follow @Allpoint on Twitter. Allpoint Network is a wholly-owned subsidiary of Cardtronics plc (Nasdaq: CATM).